This has become my favourite technical book. It codifies many of the lessons learned the hard way through experience in Internet site operations, but which are not written down anywhere else. It’s like a book that fell through a time warp from 10 years in the future. The best bit is that I know for a fact that everything in it is true, because my time at Google permitted me to see these lessons being learned the hard way (that is, through outages, post-mortem analyses, and war stories).? The first part is the best treatment I’ve seen of several crucial architecture and design patterns for large-scale systems (Cloud or otherwise). 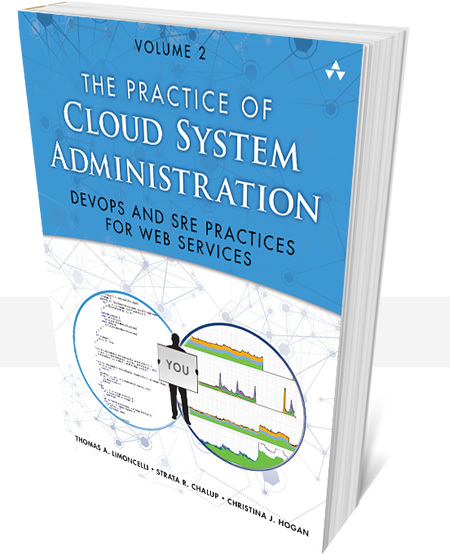 The second part is a useful survey of best practices in modern operations, including devops. I doubt this book (or any other single book!) will be enough to make great architecture and best practices “magically happen” in your own organization, but this is certainly excellent material to motivate you to *be* that change, convince others, and start on the path of improvement that eventually leads you there. I think anyone claiming to be a System Administrator today should be conversant with what’s here, but I think the bigger impact will come when we pass it to a colleague, whether a developer or a manager. There’s a lot of confusion around what Cloud Computing means, and TPOCSA gives us a common base on which to build our systems and our processes. Impressive breadth of material for anyone working with modern distributed systems. This book is well-written, easy to follow, and bursting with relevant information about distributed computing. There’s an incredible amount of depth and thinking in the practices described here, and it’s impressive to see it all in one place.